A while ago I was approached by Proactiv to review their 3-step treatment, and fell in love with their skincare. If you read my post here, you'll know that Proactiv is the first brand that's actually made a real, promising difference to my skin. I have very acne-prone, oily skin and I cannot fault Proactiv's range of products in the slightest. 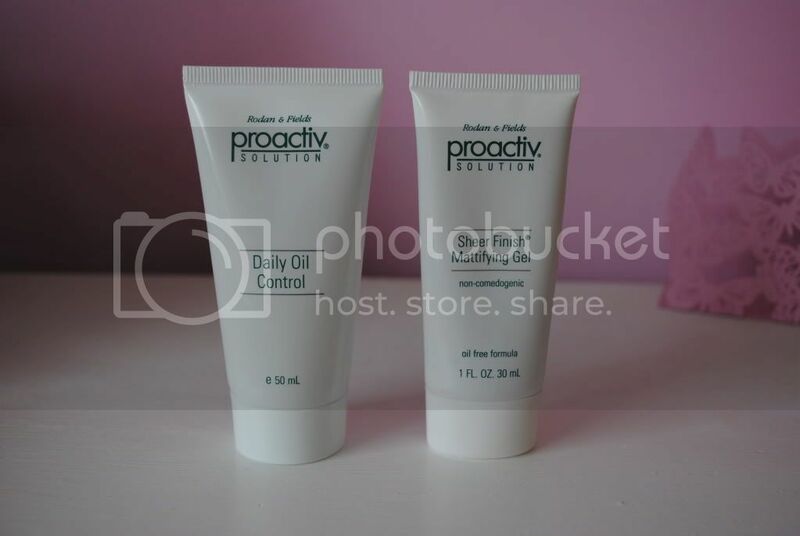 I was recently sent some of their Oil Control range of products to try; their 'Daily Oil Control' moisturiser and 'Sheer Finish Mattifying Gel'. The range looks at targeting shine and oil, something which I have always struggled with, and I have to say these products haven't let me down. The moisturiser is so light, and leaves my skin feel matte and soft, something I have been searching for since my previous HG moisturiser (Biore Shine Control) was discontinued. I find that the majority of moisturisers leave my skin feeling sticky, and don't help with my oil problem at all. This however, definitely keeps shine at bay and leaves my skin feeling gorgeous. The 'Sheer Finish Mattifying Gel' works perfectly with the moisturiser. I use it as a primer (it feels very similar to my Body Shop 'Matte It' primer) and it smooths over my skin, leaving it lovely and soft, and a perfect base for my make up. The prices aren't bad either, with the moisturiser costing £11.95 and the mattifying gel £10.95. I love both these products, and in my eyes Proactiv can do no wrong. I honestly recommend you try their products if you struggle with acne-prone or oily skin. They are life-savers! Have you tried Proactiv before? What is your favourite skincare brand?